Nobody knows for sure exactly when Black Friday began as an American tradition. Know-it-all site TIFO (Today I Found Out) credits the Macy’s Thanksgiving Day Parade as something the retailer did to draw shoppers to its store almost a century ago. However, the parade was (and still is) on Thanksgiving Day, when the store was closed, rather than the day after. So the parades couldn’t have been the draw for shoppers (who didn’t all have cars like today back in the 1920’s). Rather, according to the Wikipedia article on Black Friday, the parades marked the generally agreed upon date after which the advertising extravaganzas for Christmas shopping would commence. There’s your imaginary average American family, stuffed to the gills with the traditional three F’s: food, family and football. The weather outside, while not totally frightful yet, is not picnic material anymore, either. Over a late breakfast (despite the food overload experienced the day before, we gotta eat again) everyone dives into the newspaper. Well, the reporters had the previous day off too, so there wasn’t too much news in the paper (funny how that works). What the paper lacked in news, however, it made up for with scads and scads of holiday ads. So there you are, comfortably stuffed (again) with nothing to do and nowhere to go. No rocket science is required to predict the rest of the story. With more affluence, increasing automobile ownership and the rise of the mall, the day after Thanksgiving became the perfect day for holiday shopping and decorating. And so it was that shopping on the day after Thanksgiving became a more popular pastime in the years of growing post-WWII affluence. Most retail stores were still downtown back then, and the growing crowds wreaked havoc on a city’s increasingly burdened downtown streets and infrastructure. It’s no surprise, probably, that Philadelphia is where Black Friday got its name. After all, it is the only city famous for booing Santa Claus. Lest we be hard on the fine folks from Philly, it had to be a nightmare dealing with the increasing crush of humanity. When you have a big event like a football game, you have to deal with big crowds. But that’s different: it’s a discrete event in a single location, with infrastructure set up to handle the sudden large flow of people when the game is over. That crush usually lasts for no more than about an hour, and everybody is headed in the same basic direction. Aimless shoppers, who come and go in random patterns for a whole day, had to be a nightmare to deal with in cities not set up for sudden spikes in traffic. Somewhere along the way, and nobody knows exactly when, shopping on Black Friday metamorphosed from a more leisurely post-turkey pastime to a more intense and aggressive exercise. Back in the early days, retailers could draw shoppers by simply announcing a wonderful cornucopia of newly invented goodies to stuff in Christmas stockings. As retail competition grew, though, stores had to make their offerings more and more compelling to draw shoppers to their stores. And so the Black Friday sales were born. They may have worked in the beginning, but nothing is easier for a store owner to do than match the sale prices of competitors. Again, the story is predictable. Just like the arms race of the era after World War II, retailers embarked on a Black Friday sale/discounting race. In days gone past, Sears, Roebuck was the world’s largest retailer, built on offering variety and quality. In time, though, the nation became more bottom-line oriented and Walmart overtook it by focusing on discounts. No surprise, then, that it’s Walmart who set the standard for the terms of Black Friday sales: deep discounts, valid for just a few hours. Until 2008, the first full year of the Great Recession. That’s the year one of their temporary maintenance workers got trampled to death in New York. You remember how it happened: Shoppers were so hell-bent on getting those discounts (“limited to quantities on hand”) that they refused to even step aside to allow helpers to get to the hapless victim. The nation was shocked at what it had become, because many asked themselves: What would I have done? And so it is that Walmart, again, is taking the lead to move us away from that (now scary) tradition of celebrating the day after Thanksgiving by trampling each other to death in pursuit of a few pennies in savings. The arms race moved to opening earlier and earlier to avoid those deadly crushes, until opening hours backed into Thanksgiving Day itself. And now Walmart has moved its Black Friday discounts to a week before Thanksgiving. Other retailers, unwilling to be left behind in this new arms race, have decided to follow suit. That move to commence Black Friday deals way before Black Friday itself has raised the question in many quarters: Are we seeing the end of Black Friday as we know it? In a recent article, Experian Marketing Services explored the possibility in depth, and that has been taken up by Time magazine and other mainstream media outlets. More consumers are looking for deals earlier, and savvy retailers like Amazon and Walmart are responding quickly to catch the early worms, forcing other retailers to follow their lead. Indeed, it seems that Black Friday, as we know it, will eventually go the way of the hula hoop and 8-track. As the L.A. Times points out in this article, social change rarely happens overnight. But it does seem inevitable. Main reason: The internet, not just as a retail channel, is now the place to get information on prices at brick and mortar stores. Websites like The Black Friday have sprung up to allow consumers to search out the best deals ahead of time, and that has put even more of a premium on moving the start date of awesome deals up, just to stay ahead of the competition (who, by the way, also scans these sites). 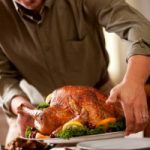 What will the nation do now the day after Thanksgiving? Work on figuring out its finances to avoid getting crushed in the next recession? What will you do Friday? I’ve never participated in Black Friday, as I’ve never had free time to stand in lines trying to get a deal. There have been many times that I’ve heard about the great deals and wish that I had the chance time to get in on them. Black Friday is excellent if you actually need the item because you could probably get at up to 70% discount. I always make a list of things I need and then purchase everything on Black Friday. It works for me. Black Friday is another reason why so many financially illiterate people get into debt and then cry about it later. If only they thought for a few seconds before they bought they would b so much better off financially. Excellent post, appreciate the share. This Friday I’m going to be staying at home, after careful consideration I’ve decided I don’t need anything new and don’t expect anything to break down in the next 12 months. I’m not going to give into retail therapy. Have a great black Friday.